Wearing stylish and feminine earrings are always desire for all women. And I am the one of them and love wearing trendy earrings. It is fun to visit shops and see different style of earrings, such as stud, dangle and hoop earrings. But my choice was limited because I don’t get my ears pierced. Recently, many shops have an option to change style from pierced earrings to clip on earrings. So I have more choices. For me, wearing clip on earrings are for special occasions such as my friend’s weddings, seeing my old friends in exclusive restaurants and going to parties. So I am happily join the events with my fancy favorite clip on earrings. Right after I wear them, they start hurting my earlobes. I try to ignore the pain and make myself believe that it is going to be alright. But 2 hours later, the hurt become torture level and give me a headache. I become irritated and finally clip on earrings off in the middle of events. I have never worn clip on earrings for whole event or long hours. You might think I should not wear clip on earrings, anyhow. But for me, without earrings is not perfect style. 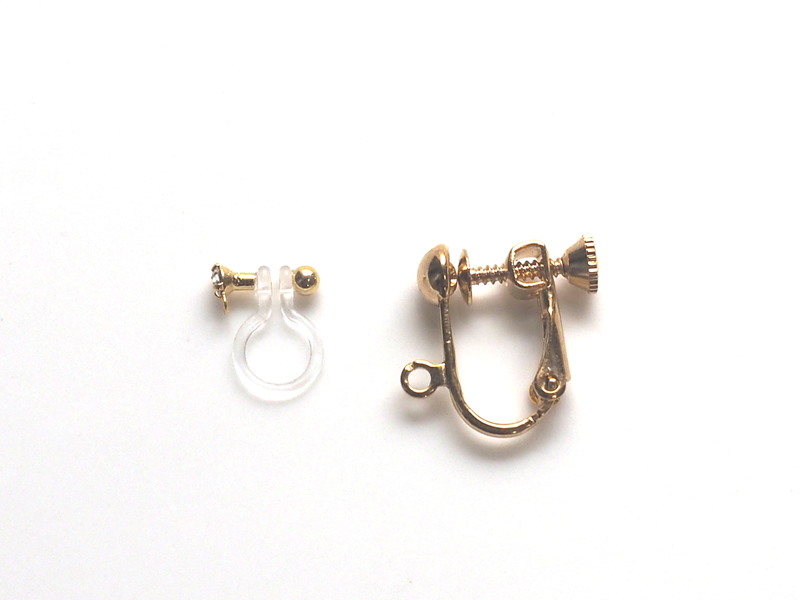 So I created comfortable and pierced clip on earrings which are super popular in Japan. They are invisible clip on earrings. What are the invisible clip on earrings? Invisible clip on earrings are made from resin and soft. So they fit your earlobes perfectly without hurting your earlobes. And all of the clip on earrings are purposely made lightweight like less than 4 g (0.14 oz ). So even they are in big size, you don’t feel heavy and dangle dull feelings at all. So you can wear them for straight 12 hours. You might think no way!! Yes, possible! Please refer my customer’s comments. Then you can believe such a miracle clip on earrings. Moreover, not only they are comfortable, but also they look pierced earrings. Amazing, isn’t it? The earring findings are clear and not visible. So they look pierced earrings at glance. If you don’t like style of obvious clip on earrings and prefer magnetic earrings, these invisible clip on earrings are ideal ones. All the clip on earrings are handmade by me with love and will be shipped from Japan to worldwide. If you want to try miracle clip on earrings, please visit MiyabiGrace at Etsy. And if you have any questions, please feel free to ask. < Previous Do your trendy clip on earrings hurt a lot?